Hold Their Feet to the Fire Kicks Off Today in the Nation’s Capital. The “Hold Their Feet to the Fire” radio row began its two-day run this morning (9/5) at the Phoenix Park Hotel on Capitol Hill in Washington, DC. The annual broadcasting/political event, now in its 12th year, is presented by the Federation for American Immigration Reform (FAIR). 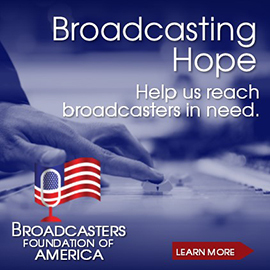 A record number of more than 60 radio talk show hosts from across the nation are participating with live remotes interviewing numerous available guests from the fields of politics, law enforcement, media, and business about the state of the immigration reform movement. 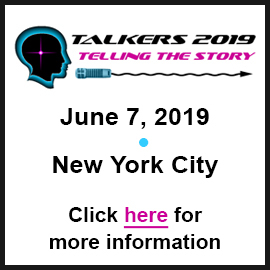 TALKERS publisher Michael Harrison is in attendance and scheduled to appear on 25 radio shows between today and tomorrow. 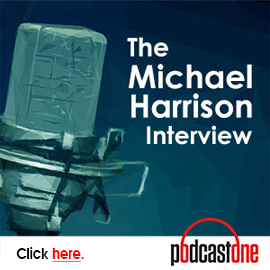 Harrison states, “Immigration reform has been one of the most important topics on talk radio for well over a decade – long before Donald Trump made it a front-burner issue. 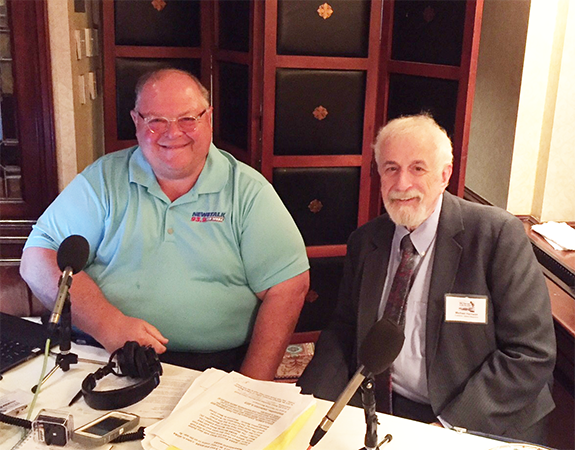 Many of the concerns of the American people regarding immigration have been expressed on talk shows and especially at this radio row which has grown into an extremely influential industry tradition.” Pictured below: Harrison (right) kicked off his rigorous interview schedule by appearing on the WSBA, York, Pennsylvania morning show with host Gary Sutton (left). TALKERS News Notes. Football season is here and that means football-related podcasts! The new “RapSheet and Friends” podcast starring NFL Network insider Ian Rapoport debuts on the Westwood One Podcast Network. The first episode is a rare media interview with New England Patriots coach Bill Belichick. The podcast is a joint venture between Westwood One and NFL Network. Each week “RapSheet and Friends” features “exclusive information and in-depth analysis on the biggest news in the National Football League.” Co-hosting with Rapoport are fellow NFL reporters Mike Garafolo and Tom Pelissero…..The Washington Post is enhancing its audio division and brings former NPR News executive editor Madhulika Sikka to serve as executive producer. She will develop a new “flagship podcast” for the news organization…..Windy City talk show host William J. Kelly and Evanston Broadcasting come to terms on a renewal of the “Citizen Kelly Show” on WCGO, Evanston for another year. 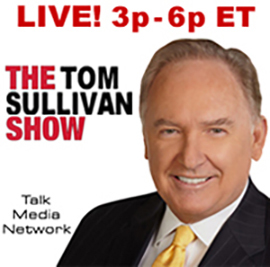 Kelly says, “At AM 1590 WCGO, we’re making Chicago radio great again, and there’s more work to do.” Kelly is also a contributor to Daily Caller and Newsmax…..Comic Michael Yo is launching a new, two-hour talk show on SiriusXM’s Entertainment Weekly Radio channel. Yo already appears on the satcaster’s “Hits 1 in Hollywood with Tony Fly and Symon” program. 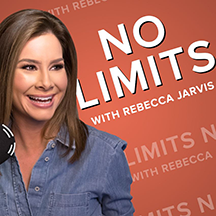 Now, he’s hosting a weekly pop culture/lifestyle show, the first episode of which features Rose Byrne, Topher Grace, Rob Riggle, Derek Hough, and many more…..ABC News’ “No Limits with Rebecca Jarvis” podcast is celebrating its 100th episode. The first 100 episodes featured interviews with the most influential women, including 32 female CEOs and 52 founders. 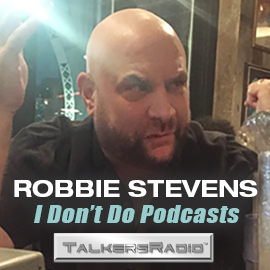 Notable interviews include: Jessica Alba, Tory Burch, Brooklyn Decker, Sarah Michelle Gellar, Kate Hudson, Arianna Huffington, Rebecca Minkoff, Nicole Richie, Diane Sawyer, Wendy Williams, and many more…..Sports talk radio pro Craig Shemon has joined ESPN Radio to handle fill-in work for its nationally syndicated programs. Shemon’s day job is as co-host of the “Shemon & Sheppard” program on Beasley Media Group’s sports talk WWCN, Fort Myers “ESPN Southwest Florida” with Pete Sheppard…..Beasley Media Group Wilmington, Delaware vice president and market manager AJ Laurie is named among the Delaware Business Times’ 2018 DBT40 Awards winners. The DBT40 Awards program recognizes 40 of Delaware’s most accomplished leaders under 40 years old for their professional accomplishments, community service, leadership and vision…..Last Friday’s three-hour radiothon on E.W. 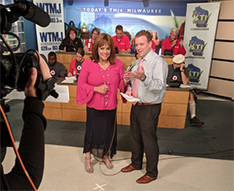 Scripps’ news/talk WTMJ and country WKTI in Milwaukee raised more than $40,000 for American Red Cross to aid victims impacted by the region’s recent historic flooding. Pictured at left are WTMJ-TV’s Carole Meekins (left) with WTMJ-AM personality John Mercure (right). Trump-Russia Investigation, Bob Woodward Trump Book, Kavanaugh Confirmation Hearings, Trump Approval Ratings, Nike’s Kaepernick Deal, U.S. Warns Syria, NFL Pre-season, and MLB Action Among Top News/Talk Stories Yesterday (9/4). The Robert Mueller-led investigation into possible connections between Trump campaign operatives and Russian agents; the publication of Bob Woodward’s new book, Fear: Trump in the White House; the confirmation hearings for Supreme Court nominee Brett Kavanaugh; the president’s current approval ratings; Nike’s use of national anthem protestor Colin Kaepernick in its new “Just Do It” campaign; the U.S. warns Syria not to attack the last rebel stronghold in Idlib; the build-up to the NFL’s week 1; and the MLB playoff push were some of the most-talked-about stories on news/talk radio yesterday, according to ongoing research from TALKERS magazine. Music Radio News and Career Moves. Louisville has a new alternative rock outlet as Alpha Media flips classic hip hop WGHL “G 106.1 The Throwback Station” to “ALT 105.1.” Alpha Media EVP of content Scott Mahalick comments, “Alternative rock is an explosive growth format and ‘ALT 105.1’ is a perfect fit in our group of stations in Louisville. Alt Louisville marks the return of contemporary rock to Louisville on 105.1 FM.”.…..Entercom is bringing Southern California’s 80s rock station back via the KROQ-HD2 channel and Radio.com. The “Roq of the 80s” launches with a Flashback 500 countdown featuring classic hits from artists and bands like U2, Blondie, Duran Duran, and Nine Inch Nails. Entercom Los Angeles SVP and market manager Jeff Federman says, “KROQ came to prominence in the early 80s and we are excited to honor the iconic station with the launch of ‘Roq of the 80s.’ This new channel will give fans the opportunity to relive the station as it sounded then, while exposing new consumers to the magic of early alternative music.” “Roq of the 80s” kicks off with KROQ on-air alumni Freddy Snakeskin and Tami Heide as well as original station imaging. August 2018 PPM Data – Round One. Information for the August 2018 ratings period has been released for New York, Los Angeles, Chicago, San Francisco, Dallas, Houston, Atlanta, Philadelphia, Nassau-Suffolk (Long Island), Riverside, San Jose, and Middlesex-Somerset-Union (New Jersey). Nielsen Audio’s August 2018 survey period covered July 19 – August 15. 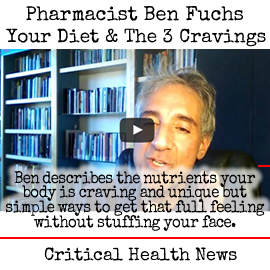 See all the 6+ numbers from subscribing stations here. Meanwhile, managing editor Mike Kinosian (Kinosian@TALKERS.com) provides his “Takeaways” from these 12 PPM markets below. Spoken-Word Formats – With a +.7 to 3.4 (#13 to #11, 6+), WNYC Broadcasting Foundation news/talk WNYC-FM recaptures in its entirety the seven-tenths it lost in May, June, and July (3.4 – 3.0 – 2.7 – 2.7, 6+). Meanwhile, co-owned fellow public news/talker WNYC-AM records a .5 (6+) for the third time in a row, but slips from #29 to #30. A combined -2.0 in five consecutive decreases (6.2 – 5.5 – 5.0 – 4.8 – 4.2 – 4.2, 6+), Entercom all-news WINS remains in seventh-place. Co-owned/similarly-formatted WCBS-AM returns half of July’s +.2 (2.7 – 2.6, -.1, #13 to #15, 6+). In July, it ended three successive down or flat sweeps that accounted for a loss of eight-tenths (3.3 – 2.9 – 2.7 – 2.5, 6+). Despite being flat at 4.7 (6+), their sports talk sibling, WFAN “Sports Radio,” advances from sixth to fifth; 4.7 in May and July is its best 6+-showing since 5.2 in November 2017. The Yankees’ flagship logged back-to-back gains of +.8 (3.1 – 3.9 – 4.7, March – April – May, 6+). 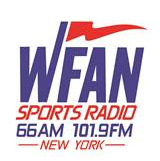 Following five survey periods in a row without an increase resulting in a nearly 50% loss (-2.5) of its 6+-share (5.2 – 5.2 – 3.9 – 3.5 – 3.3 – 2.7, 6+), WFAN picked up four-tenths in March. Flat at #20, iHeartMedia news/talk WOR is off for the fourth straight time for a collective loss of eight-tenths (2.5 – 2.1 – 2.0 – 1.8 – 1.7, 6+). The key station of the Mets, “710 The Voice of New York,” was +.6 in April. A March gain of one-tenth ended five straight down or flat reports for a -.4 (2.2 – 2.2 – 2.0 – 1.8 – 1.8 – 1.8, 6+). Locked on 1.7 (6+) in May and June, WEPN “98.7 ESPN New York” is now frozen on 1.4 in July and August (#21 to #22, 6+). When WEPN picked up two-tenths in February, it halted three downward moves in succession that produced a loss of seven-tenths (1.8 – 1.4 – 1.2 – 1.1, 6+). The 16 most recent New York City (6+) trends for Townsquare Media’s news/talk WKXW (flat at #23) are: 1.1 – 1.0 – 1.1 – 1.1 – 1.1 – 1.1 – 1.0 – 1.0 – 1.1 – 1.1 – 1.2 – 1.1 – 1.1 – 1.1 – 1.1 – 1.1. Two-tenths behind “New Jersey 101.5” is Cumulus Media news/talk WABC, which is without an increase for the sixth consecutive sweep for a collective loss of three-tenths (1.2 – 1.2 – 1.1 – 1.1 – 1.0 – .9 -.9, #24 to #25, 6+). New York City Music Formats – An overall -1.6 via three setbacks in succession (8.5 – 7.7 – 7.3 – 6.9, 6+), iHeartMedia adult contemporary WLTW “106.7 Lite FM” adds two-tenths to 7.1 (6+) and is #1 for the 13th successive sweep. Prior to July 2018, the last time WLTW fell below a six-share (6+) was in October 2017 (6.6). A collective +7.1 in five consecutive gains (6.0 – 6.1 – 6.6 – 7.0 – 8.8 – 13.1, 6+), WLTW was -5.1 in January and February (13.1 – 8.5 – 8.0, 6+) but rebounded in March and April with a +.5 (8.0 – 8.4 – 8.5, 6+). Its urban contemporary sibling, WWPR, continues a down/up pattern that began in December 2017 (3.9 – 3.2 – 3.5 – 3.3 – 3.4 – 3.3 – 3.6 – 3.4 – 3.8 – 3.3, 6+) as “Power 105.1” departs the top ten (#10 to #12). Following five straight sweeps in a row without a loss for an overall +1.0 (1.6 – 1.7 – 1.9 – 1.9 – 1.9 – 2.6 , 6+), Univision Radio Spanish contemporary WXNY “X-96.3” returns 70% of that increase (1.9, -.7, #16 to #19, 6+). July’s 2.6 is its best 6+-showing since May 2017’s 2.8. In July, “X-96.3” leapfrogged Spanish Broadcasting System’s similarly-formatted WPAT-FM “Amor 93.1” for the first time since November 2017 when “X-96.3” held a 2.1 (6+) to 2.0 (6+) advantage over “Amor 93.1.” Now in August, however, “Amor” gains four-tenths to 2.9 (6+) and moves from #17 to #14. When WPAT-FM dropped four-tenths in June, it snapped at three its consecutive string of up or flat trends that produced a +.3 (2.7 – 2.7 – 2.8 – 3.0, 6+). Up or flat for the fifth time in succession for an overall +.4 (3.4 – 3.4 – 3.6 – 3.6 – 3.6 – 3.8, 6+), iHeartMedia rhythmic CHR WKTU “103.5 The Beat of New York” re-enters the top ten (#11 to #10). “The Beat of New York” is one-tenth behind Emmis’ similar-formatted WQHT “Hot 97 – #1 for Hip-Hop,” which is flat at 3.9 (6+) and steady at #9. After posting four straight modest gains for an overall boost of one-half share (3.5 – 3.6 – 3.7 – 3.9 – 4.0, 6+), “Hot” dropped one-tenth in July. Off two-tenths to 2.6 (#12 to #15, 6+), Entercom-owned WNYL “Alt 92.3 – New York’s New Alternative” ends three straight gains that netted nine-tenths (1.9 – 2.0 – 2.3 – 2.8, 6+). Spoken-Word Formats – Adding four-tenths to 3.1 (6+), Entercom’s KNX “1070 News Radio” progresses from a three-way scrum at #11 to #9. Down six-tenths in April, KNX had been in an alternating 2.6 – 2.7 – 2.6 – 2.7 pattern (April – May – June – July, 6+). Having recorded a 4.1 (6+) in three of the last four sweeps (4.1 – 4.4 – 4.1 – 4.1), iHeartMedia news/talk KFI “AM 640” drops three-tenths to 3.8 (6+) but continues in sixth-place. When KFI dipped by two-tenths in “Holiday” 2017, it ended at six a consecutive string of up or flat trends that netted a collective eight-tenths (3.3 – 3.4 – 3.5 – 3.5 – 3.9 – 4.1 – 4.1, 6+). The six most recent topline (6+) stats for Pasadena City College news/talk KPCC “The Voice of Southern California” are 2.7 – 2.6 – 2.7 – 2.7 – 2.5 – 2.5 (#15 to #16, 6+). Up two-tenths in June and July (.9 – 1.1 – 1.3, 6+), Salem Media Group news/talk KRLA “AM 870 The Answer” returns one-tenth to 1.2 (#27 – #28, 6+). Catching KRLA is iHeartMedia-owned Los Angeles Dodgers flagship KLAC “AM 570 LA Sports,” which triples its 6+-stat (+.8) through seven successive sweeps without a loss (.4 – .4 – .5 – .9 – .9 – 1.0 – 1.1 – 1.2, #31 to #28, 6+). Co-owned news/talk KEIB “AM 1150 The Patriot” is up one-tenth in June, July, and August (.8 – .9 – 1.0 – 1.1, #33 to #32, 6+). Having gained one-tenth in three straight sweeps (.9 – 1.0 – 1.1 – 1.2, 6+), sports talk KSPN “710 ESPN” falters by four-tenths to .8 (#30 to #33, 6+), while Cumulus Media-owned KABC “790 News-Talk-Evolved” logs a .4 for the third month in a row and remains at #41 (6+). Los Angeles Music Formats – In six straight up or flat trends (2.2 – 2.2 – 2.3 – 2.4 – 2.5 – 2.8 – 2.9, 6+), Entercom-owned alternative KROQ is a combined +.7, but backslides from #10 to #11. On the other hand, its format foe, iHeartMedia’s KYSR-FM “Alt 98.7 – LA’s New Alternative,” is off a combined eight-tenths in three declines in a succession (3.2 – 2.8 – 2.5 – 2.4, #15 to #19, 6+). Recapturing in full the six-tenths it lost in three successive down or flat trends (3.7 – 3.7 – 3.5 – 3.1, 6+), Univision Radio Spanish contemporary KLVE “107.5 K-Love” climbs from eighth to seventh (3.7, +.6, 6+). Even though iHeartMedia hot AC KBIG is off one-tenth in July and August, “104.3 My-FM” finishes on top for the fourth straight sweep; its six most recent trends are: 5.7 – 5.7 – 5.7 – 5.8 – 5.7 – 5.6 (6+). The one-half share lead it held in July over co-owned adult contemporary KOST “Coast 103.5” lengthens to one full-share in August, as “Coast” sputters by six-tenths and slips from second to third (5.2 – 4.6, 6+). Having lost more than half (-6.6) of its 6+-stat in consecutive surveys since the “Holiday” 2017 report (11.9 – 5.5 – 5.3, 6+), KOST bounced back in March and April with a combined +.7 (5.3 – 5.9 – 6.0, 6+). Over the past 36 Los Angeles sweeps dating back to December 2015, KOST and KBIG have dominated the #1 position. “Coast 103.5” has been on top 20 times (December 2015 through January 2017; December 2017; “Holiday” 2017; March 2018; and April 2018), while “My-FM” has set the pace on 16 occasions (February 2017 through November 2017; January and February 2018; and May 2018 through August 2018. With a repetitive 5.0 – 5.1 – 5.0 – 5.1 (6+), Entercom classic hits-oldies KRTH “K-Earth 101” progresses from third to second. Smooth AC cluster-mate KTWV was a collective +.7 in five straight months without a loss (4.1 – 4.4 – 4.4 – 4.7 – 4.8 – 4.8, 6+), but “94.7 The Wave” is now off a combined six-tenths in three straight dips (4.8 – 4.5 – 4.3 – 4.2, 6+) and slides from fourth to fifth. An overall -.7 in six consecutive down or flat trends (4.9 – 4.9 – 4.7 – 4.5 – 4.5 – 4.3 – 4.2, 6+), iHeartMedia CHR KIIS “102.7 Kiss-FM” picks up four-tenths to 4.6 (6+), progressing from fifth to third. At the same time, Entercom’s similarly-programmed KAMP “97.1 Amp Radio” – which had logged a 2.7 (6+) in May, June, and July – is up one-tenth to 2.8 (6+), yet backslides from #11 to #12. A combined +.7 in June and July to double its 6+-share (.7 – 1.0 – 1.4, 6+), Entravision Spanish adult hits KLYY “Jose 97.5” returns six-tenths (.8, #33, 6+). Trending .4 – .6 – 1.0 (6+) since May 2018, co-owned KDLD “Super Estrella 103.1” surrenders seven-tenths to .3 (#43, 6+). Logging a 2.1 (6+) for the third consecutive month, Univision Radio regional Mexican KSCA is within 2.1 – 2.8 range (6+) for the 19th ratings period in a row; “Zona Mx 101.9” moves from a three-way tie at #20 to a tie at #21. Similarly, Mt. Wilson FM Broadcasters’ KKGO “Go Country 105” (2.3 – 2.4, +.1, #19 to #20, 6+) is within 2.0 – 2.9 range (6+) for the 34th time in succession; March 2018’s 2.0 is its lowest 6+-stat since January 2016 (2.0, as well). Hitting a 2.8 (November 2017, 6+) in its final days as classic rock KSWD “The Sound,” the Los Angeles frequency at 100.3 became Educational Media Foundation contemporary Christian KKLQ. Following the format change, it immediately slumped to 1.2 (December 2017, 6+). “Positive & Encouraging K-Love” didn’t reach a 1.0-share (6+) in the next seven sweeps (January 2018 – June 2018), including June’s .7. KKLQ disappeared from print in July 2018, but resurfaces in August 2018 with a .7 (#36, 6+). Spoken-Word Formats – This is the sixth time in a row that Entercom’s WBBM-AM (fifth to sixth) is without a gain for a collective -.7 (5.3 – 5.1 – 4.9 – 4.9 – 4.8 – 4.6 – 4.6, 6+). The all-news outlet was up an overall eight-tenths in January and February (4.5 – 4.7 – 5.3, 6+) with February’s 5.3 its finest 6+-stat since March 2017’s 5.4. A March 2018 increase of three-tenths ended six straight down or flat sweeps that resulted in a collective -.7 (2.9 – 2.7 – 2.6 – 2.4 – 2.3 – 2.2 – 2.2, 6+). For the third straight month, sports talk sibling WSCR has a fluctuation of one-tenth (3.6 – 3.5 – 3.4 – 3.5, 6+); “670 The Score” returns to the top ten (#11 to #8). Off two-tenths in back-to-back reports (2.7 – 2.5 – 2.3, 6+), the Chicago Cubs flagship rebounded with a +1.3 in April and May (2.3 – 3.2 – 3.6, 6+). After three consecutive upticks for a combined full-share gain (2.0 – 2.2 – 2.4 – 3.0, 6+), Tribune Media news/talk WGN returns half that increase (2.5, -.5, #14 to #17, 6+). When the Chicago White Sox flagship picked up two-tenths in May, it halted three successive decreases that accounted for a collective -1.3 (3.3 – 3.1 – 2.2 – 2.0, 6+). An overall +.8 in March and April (2.2 – 2.5 – 3.0, 6+), Chicago Public Media news/talk WBEZ is now -.8 in four straight decreases (3.0 – 2.8 – 2.5 – 2.4 – 2.2, flat at #20, 6+). Flat at 1.7 (6+), Cumulus Media news/talk WLS-AM slips from #22 to #23. Its +.2 in July ended four consecutive down or flat moves that accounted for a one-half share loss (2.0 – 2.0 – 1.8 – 1.7 – 1.5, 6+). Immediately prior to that, WLS-AM registered seven straight up or flat ratings periods and was +.7 in that stretch (1.3 – 1.5 – 1.5 – 1.5 – 1.5 – 1.7 – 2.0 – 2.0, 6+). Unchanged at #26, ESPN-owned WMVP “ESPN Chicago 1000,” is without an increase for the seventh sweep in a row for an overall loss of six-tenths (1.6 – 1.5 – 1.5 – 1.4 – 1.3 – 1.3 – 1.2 – 1.0, 6+). Chicago Music Formats – The incredible run for Hubbard’s WDRV motors on as “97.1 The Drive – Chicago’s Classic Rock” more than doubles its 6+-stat (a combined +3.0) via eight straight up or flat trends (2.5 – 3.3 – 3.3 – 4.2 – 4.6 – 4.8 – 4.8 – 4.9 – 5.5, 6+) and carries on in second-place. Through May 2018, Cumulus Media-owned WLS-FM was an overall +1.6 in seven consecutive sweeps without a loss (2.7 – 3.0 – 3.0 – 3.1 – 3.4 – 3.5 – 3.8 – 4.3, 6+), but “94.7 Chicago’s Classic Hits” surrendered one-tenth in June. It rebounds with a cumulative +1.1 in July and August (4.2 – 4.9 – 5.3, 6+), although it segues from a second-place tie with WDRV to third. The 1.2-share advantage iHeartMedia urban AC WVAZ “V-103 Today’s R&B and Throwbacks” had over “The Drive” in July is down to one-half share as “V-103” is off one-tenth to 6.0 (6+); even so, it is on top for the eighth month in a row. WVAZ was up one-tenth in back-to-back ratings periods (5.9 – 6.0 – 6.1, May – June – July, 6+). Its gain of one-tenth in June halted four straight down or flat trends that produced a -.9 (6.8 – 6.6 – 6.1 – 6.1 – 5.9, 6+). Enjoying leaps of eight-tenths each are Univision Radio regional Mexican WOJO “Que Buena 105.1” (4.8, sixth to fifth, 6+) and Moody Bible Institute religious teaching WMBI “90.1 Moody Radio” (.9 – 1.7, 6+). This ends three downward moves in a row for “Que Buena” that accounted for an overall loss of one full-share (5.0 – 4.6 – 4.3 – 4.0, 6+). Up or flat for the fourth consecutive month for a +.4 (2.6 – 2.7 – 3.0 – 3.0 – 3.0, Hubbard adult contemporary WSHE “100.3 SHE” advances from #14 to #13. 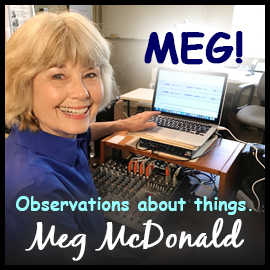 Eight-tenths ahead of WSHE and jumping from ninth to seventh is Venture Technologies Group adult contemporary WRME-LP “FM 87.7 Me TV,” which is within 3.3 – 3.8 range (6+) for the seventh month in a row (3.6 – 3.5 – 3.5 – 3.5 – 3.3 – 3.7 – 3.8, 6+). Making identical 3.9 – 3.3 (-.6) seventh to tenth moves are Entercom siblings “US-99 Chicago’s Hottest Country” and WBMX “104.3 Jams – Chicago Rhythmic Music.” This is the 13th straight time that “US-99” is within 3.0 – 3.9 range. It leads iHeartMedia’s WEBG “Big 95.5 – Chicago’s New Country” (1.7 – 1.8, +.1, #23 to #22, 6+) by 1.5 shares. No higher than 5.1 (6+) and no lower than 4.7 (6+) in each of the last seven sweeps, Hubbard-owned hot AC WTMX “101.9 The Mix” regains the one-tenth it lost in July (4.8 – 4.9, +.1, 6+) and remains at #4. Having notched three increases in succession for a +.4 (3.1 – 3.3 – 3.4 – 3.5, 6+), iHeartMedia’s similarly-formatted WLIT “93.9 Lite FM” is down a combined six-tenths in July and August (3.5 – 3.1 – 2.9, #13 to #15, 6+). Spoken-Word Formats – While on top for the eighth straight month, Northern California Public Broadcasting news/talk KQED is nonetheless down for the fifth time in a row for a collective -2.5 (8.9 – 8.4 – 8.1 – 7.1 – 6.7 – 6.4, 6+). Finishing first and second, respectively, the past seven reports are KQED and Entercom all-news KCBS-AM (5.7, +.2, 6+). The latter was locked on 5.5 (6+) in June and July after being frozen on 5.4 (6+) in April and May. In advance of posting a one-tenth gain in June, KCBS-AM had been down or flat the previous four sweeps for a net loss of eight-tenths (6.2 – 5.7 – 5.6 – 5.4 – 5.4, 6+). Following four successive increases for an overall +1.3 (2.1 – 2.3 – 2.7 – 3.0 – 3.4, 6+), Cumulus Media news/talk KSFO falters by four-tenths to 3.0 (6+) and exits the top ten (#8 to #12). Prior to gaining two-tenths in March, KSFO was a combined -1.3 in five straight decreases, (3.4 – 3.0 – 2.4 – 2.2 – 2.2 – 2.1, 6+). Meanwhile, a gain of four-tenths to 2.1 (#21 to #20, 6+) by cluster-mate KGO curtails four successive down or flat trends that resulted in a -.3 (2.0 – 1.8 – 1.8 – 1.7 – 1.7, 6+). Trending 3.8 – 3.7 – 3.6 – 3.7 – 3.7 (6+) since April, co-owned San Francisco Giants flagship KNBR inches up from sixth to fifth; “The Sports Leader” gained nine-tenths in April. After spiraling by -1.1 in July (2.6 – 1.5, 6+), Entercom’s KGMZ “95.7 The Game” answers with a +.3 to 1.8 (#24 to #22, 6+). Before the June report, when it lost one-tenth, the key station of the Oakland A’s had been without a loss the previous nine ratings periods, nearly tripling (+1.7) its 6+-stat in that timeframe (1.0 – 1.2 – 1.4 – 1.4 – 1.5 – 1.7 – 2.1 – 2.1 – 2.3 – 2.7, 6+). San Francisco Music Formats – After a May – June – July trending of 1.9 – 1.7 – 1.5 (6+), Entercom-owned KITS breaks out a +.6 to 2.1 (#20, 6+) as “Alt 105.3 The Bay Area’s Alternative” reaches the two-share level (6+) for the first time since April 2016’s 2.2. On the heels of July’s +.6, iHeartMedia’s KMEL “106.1 – #1 For Hip-Hop and R&B in the Bay Area” surrenders seven-tenths (4.4 – 3.7, fourth to fifth, 6+). July’s 4.4 is its finest 6+-showing since “Holiday” 2014 (4.4, as well). Having recorded a 6+-share between 2.0 – 2.9 in each of the last 40 sweeps, Cumulus Media classic rocker KSAN adds one-tenth to 3.0 (#14 to #12, 6+). This is the third straight increase for “107.7 The Bone” for an overall +.7 (2.3 – 2.4 – 2.9 – 3.0, 6+). Climbing from fifth to fourth, Entercom-owned hot AC KLLC is up or flat for the third straight time for a +.5 (3.3 – 3.6 – 3.8 – 3.8, 6+). Prior to June’s increase, “Alice @ 97.3” was off eight-tenths via four successive declines (4.1 – 3.7 – 3.6 – 3.5 – 3.3, 6+). Adult contemporary sibling KOIT-FM “96.5 Today’s Hits & Yesterday’s Favorites” regresses by a collective one-half share in three straight down or flat moves (3.9 – 3.8 – 3.4 – 3.4, eighth to ninth, 6+). Steady in third-place is iHeartMedia’s similarly-formatted KISQ “98.1 The Breeze,” which is -.3 in July and August (5.0 – 4.8 – 4.7, 6+), after being an overall +.6 via four straight up or flat trends (4.4 – 4.4 – 4.6 – 4.9 – 5.0, 6+). Spoken-Word Formats – Even though it regains the one-tenth it lost in July (2.9 – 2.8 – 2.9, 6+), Cumulus Media sports talk KTCK “The Ticket – All Sports, All The Time” moves from a three-way tie at #15 to #16. The +1.2 (2.9 – 3.3 – 4.1, 6+) “The Ticket” racked up in April and May was fully erased in June by a -1.2. Locked on 2.8 (6+) in June and July, North Texas Public Broadcasting news/talk KERA drops two-tenths to 2.6 (#15 to #18, 6+) as it posts a 6+-share in the two-share range for the 37th consecutive sweep. Entercom sports talk and news-talk hybrid siblings KRLD-FM “105.3 The Fan” and KRLD-AM “News Radio 1080” are tied with identical profiles (2.1 – 2.3, +.2, unchanged at #19, 6+). “The Fan” had been down by one-tenth in each of the last three sweeps (2.4 – 2.3 – 2.2 – 2.1, 6+). In advance of a +.5 in April, the Texas Rangers flagship posted five straight negative trends that resulted in a -1.2 (3.1 – 2.5 – 2.4 – 2.3 – 2.1 – 1.9, 6+). Prior to August’s +.2, “News Radio 1080” was a collective -.7 through five straight months without an increase (2.8 – 2.6 – 2.6 – 2.4 – 2.1 – 2.1, 6+). Going back to “Holiday” 2016, KRLD-AM is within a high of 2.8 and a low of 2.0. A loss of two-tenths in March ended at seven a consecutive string of up or flat trends that netted seven-tenths (2.1 – 2.1 – 2.2 – 2.4 – 2.4 – 2.5 – 2.7 – 2.8, 6+). 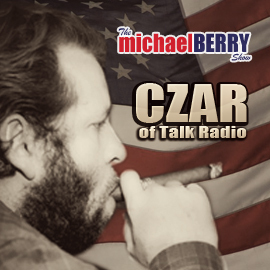 Posting a 2.2 (6+) for the third time in the last five sweeps (2.2 – 2.2 – 2.1 – 2.1 – 2.2, 6+), Cumulus Media’s WBAP “News Talk 820” falls off the top twenty (three-way tie at #19 to a tie at #21). The nine most recent 6+-stats for ESPN’s KESN “103.3 ESPN Dallas” (unchanged at #33) are 1.1 – 1.0 – .9 – 1.0 – 1.1 – 1.1 – 1.0 – .9 – .9. As they did in July, Salem Media Group-owned KSKY “660 AM The Answer” (flat at .7, 6+) and Cumulus Media’s KLIF-AM “570 News & Information” (.5 – .4, -.1, 6+) finish at #34 and #5, respectively. Dallas Music Formats – A +1.5 via three positive spikes in a row (5.4 – 6.0 – 6.7 – 6.9, 6+), iHeartMedia-owned KHKS was a combined -1.4 in June and July (6.9 – 6.3 – 5.5, 6+). Roaring back in August with a +1.1 (5.5 – 6.6, 6+), “106.1 Kiss – Dallas/Fort Worth’s Hit Music” is on top for the eighth straight month. When “Kiss” reached #1 in January, it was the first time the mainstream CHR held the lead position since March 2017. As the result of four straight sweeps without a loss, City of Dallas-owned WRR “Classical 101” more than doubles (+1.6) its 6+ share (1.4 – 1.8 – 1.8 – 2.0 – 3.0, 6+) and enters the top twenty at #15. Trending 3.7 – 3.4 – 3.7 (May – June – July, 6+), Entercom adult hits KJKK posts a +.6 to 4.3, as “100.3 Jack-FM” jumps from #8 to a three-way tie at #3. Co-owned KVIL “Alt 103.7 – DFW’s New Alternative” is without a loss for the fifth sweep in a row for a +.7 (2.4 – 2.4 – 2.5 – 2.8 – 2.8 – 3.1, 6+) and advances from #15 to #13. Despite having its successive string of up or flat trends end at three (4.4 – 4.5 – 4.5 – 4.6, 6+), classic hits-oldies cluster-mate KLUV “98.7 K-LUV” (4.3, -.3, 6+) moves from #4 to a three-way tie at #3. Owing to a -.9 to 4.3 (second to third, 6+), Cumulus Media’s KSCS “96.3 New Country” halts seven successive up or flat trends that accounted for a +1.3 (3.9 – 4.3 – 4.3 – 4.3 – 4.5 – 4.6 – 4.7 – 5.2, 6+). July’s 5.2 represents the best-ever 6+ share in KSCS’ PPM history and first time it ever reached the five-share level (6+). Flat at #6, co-owned and similarly-programmed KPLX “99.5 The Wolf” is without an increase for the fifth time in a row for an overall loss of three-tenths (4.4 – 4.3 – 4.2 – 4.2 – 4.1 – 4.1, 6+). Dropping one-half share each are Radio One rhythmic CHR KBFB “97.9 The Beat” (2.8, #11 to #17, 6+) and Educational Media Foundation contemporary Christian KYDA “Air 1 Positive Hits” (#27 to #31, 6+). “The Beat” had been without a decrease the past three ratings periods for a +.4 (2.9 – 3.0 – 3.0 – 3.3, 6+). A collective +.9 in May and June (1.2 – 1.4 – 2.1, 6+), KYDA is now -1.1 in July and August (2.1 – 1.5 – 1.0, 6+). In June, it reached the two-share level (2.1, 6+) for the first time since March 2017’s 2.0. Spoken-Word Formats – Continuing a March 2018 – July 2018 down/up pattern (3.4 – 3.3 – 3.9 – 3.8 – 4.1 – 3.6, 6+), iHeartMedia news/talk KTRH falls from #11 to #13; “News Radio 740” improved by six-tenths in January. In advance of that particular gain, KTRH was down or flat the previous four monthlies for an overall -1.4 (3.9 – 3.3 – 3.2 – 3.0 – 2.5, 6+). Returning the two-tenths it gained in July (3.2 – 3.4 – 3.2, 6+), University of Houston news/talk KUHF skids from #15 to #17. Mirroring KTRH, KUHF was +.6 in January. Among the market’s sports talk competitors, iHeartMedia-owned Houston Astros flagship KBME “Sports Talk 790” is trending 1.3 – 1.2 – 1.2 – 1.3 – 1.1 (unchanged at #22, 6+); Entercom’s KILT-AM “Sports Radio 610” is flat at .9 but advances from #24 to #23, 6+); and Gow Communications’ KFNC adds one-tenth (.6 – .7, 6+) as “ESPN 97.5” remains at #27. Houston Music Formats – A cumulative -1.5 in June and July (7.2 – 6.5 – 5.7, 6+), Radio One urban AC KMJQ “Majic 102.1 – The People’s Station” responds with a +.6 in August to 6.3 (6+) and remains in the runner-up slot for the fourth month in a row. Stuck on 7.0 (6+) in January and February, “Majic” dropped to 6.8 (6+) in March; it was tied for #1 in April. Racking up an August 2018 gain of six-tenths as well is Univision Radio Spanish adult hits KOVE (3.4, #17 to #16, 6+); “Amor 106.5” had been trending 2.9 – 2.8 – 2.9 – 2.8 (6+). The topline (6+) April – May – June – July – August trending for KODA is 7.0 – 7.4 – 7.0 – 7.3 – 7.3, as the iHeartMedia adult contemporary facility is #1 for the fourth month in a row. Having finished first in four successive sweeps, “Sunny 99.1” segued to second in March, but then rebounded from a -1.1 in March with an April +.8 to return to the top spot. Its 12.5 in “Holiday” 2017 is its strongest 6+-stat since “Holiday” 2016’s 10.3 and the first time any Houston station reached double-digits (6+) since that ratings period. Although registering its eighth straight up or flat trend for an overall +1.4 dating back to “Holiday” 2017 (4.3 – 4.6 – 4.8 – 4.8 – 4.8 – 4.9 – 5.2 – 5.7 – 5.7, 6+), Cox Media Group classic rock KGLK “Houston’s Eagle” backslides from a second-place tie to third. KGLK’s 5.7 in July and August is its strongest 6+-performance since 5.9 in October 2017. It is tied with Entercom adult hits KKHH “95.7 The Spot,” which is +1.2 in four straight positive spikes (4.5 – 4.6 – 4.9 – 5.3 – 5.7, fourth to third, 6+). A cumulative -1.9 via six straight sweeps without an increase (5.2 – 5.0 – 4.3 – 3.7 – 3.7 – 3.6 – 3.3, 6+), KSBJ Educational Foundation’s KSBJ “89.3 Contemporary Christian Music – God Listens” applies the brakes with a +.4 to 3.7 (6+), jumping from #16 to #11. Not only does Radio One rhythmic CHR KBXX drop out of the top ten (#10 to #14), “97.9 The Box” is -1.3 in three straight negative moves (4.8 – 4.4 – 4.2 – 3.5, 6+) and is below a four-share (3.5, 6+) for the first time since July 2017’s 3.9. Three straight down or flat trends resulted in a -1.2 for Cox Media Group’s KKBQ (6.4 – 5.7 – 5.2 – 5.2, 6+), but “Country 93-Q” adds one-tenth in August to 5.3 (6+) and remains in fifth place. KKBQ was a combined +1.5 in March and April (4.9 – 6.0 – 6.4, 6+). An August loss of six-tenths to 3.9 (6+) by format rival – Entercom’s KILT-FM – wipes out 60% of its +1.0 in June and July (3.5 – 4.1 – 4.5, 6+) as “New Country 100.3 The Bull” slips from ninth to tenth. Prior to June’s +.6, “The Bull” had three straight declines for a cumulative -.6 (4.1 – 4.0 – 3.7 – 3.5, 6+). At the same time that Entercom Spanish contemporary KLOL “Mega 101” gains four-tenths to 4.2 (#14 to #9, 6+), Univision Radio’s similarly-formatted KAMA “Latino Mix” drops four-tenths to 2.4 (#17 to #20, 6+). In advance of the August sweep, “Mega 101” had a March 2018 – July 2018 6+ topline of 3.7 – 3.8 – 3.9 – 3.8 – 3.8, while in that same period, “Latino Mix” was 2.7 – 2.7 – 2.6 – 2.7 – 2.8 (6+). Spoken-Word Formats – A combined -1.1 in May and June (3.3 – 2.7 – 2.2, 6+), following an April increase of seven-tenths, Entercom sports talk WZGC “92.9 The Game” is now an overall +1.0 in July and August (2.2 – 2.5 – 3.2, #17 to #16, 6+). Immediately in advance of a -1.1 in February, “The Game” was a combined +.7 in three straight gains (3.0 – 3.4 – 3.5 – 3.7, 6+). Although down three-tenths in July and August (7.8 – 7.6 – 7.5, 6+), Cox Media Group news/talk WSB-AM is on top for the 33rd consecutive time. When WSB-AM gained three- tenths in June, it halted three consecutive negative moves that accounted for a -2.7 (10.2 – 9.4 – 8.4 – 7.7 – 7.5, 6+). WSB-AM, which was +1.6 in January, notched three straight increases for a collective +1.6 (8.6 – 8.9 – 9.9 – 10.2, 6+) but then was a combined -1.6 in three consecutive drops (10.2 – 10.0 – 9.1 – 8.6, October – November – December – “Holiday” 2017, 6+). Down or flat the past five sweeps for an overall -1.4 (4.5 – 4.5 – 4.2 – 4.0 – 3.8 – 3.1, 6+), City of Atlanta Board of Education news/talk WABE gains four-tenths to 3.5 (#15 to #12, 6+). Recapturing the two-tenths it lost in July (2.0 – 1.8 – 2.0, 6+), Dickey Broadcasting’s WCNN “Sports Radio The Fan” progresses from #19 to #18. When the AM flagship of the Atlanta Braves lost two-tenths in July, it stymied seven successive sweeps without a decrease that netted eight-tenths (1.2 – 1.2 – 1.2 – 1.3 – 1.5 – 1.7 – 1.8 – 2.0 – 2.0, 6+). An August -1.0 by Cumulus Media’s WYAY (2.3 – 1.3, 6+) doubly erases June and July’s +.5 (1.8 – 2.1 – 2.3, 6+) as “106.6 Where Atlanta Comes to Talk” departs the top twenty (#18 to #21). Prior to April’s 2.0, WYAY recorded a 1.8 (6+) in January, February, and March. April 2018 – August 2018 stats for Georgia State University news/talk WRAS (#26 to #25) are .6 – .7 – .6 – .8 – .8 (6+). Atlanta Music Formats – As the result of three straight upticks (4.0 – 4.8 – 5.0 – 5.9, 6+), Salem Media Group contemporary Christian WFSH “The Fish” (sixth to fourth) is a collective +1.9 and has its strongest 6+-showing (5.9) since January’s 6.0. Stuck on 6.6 (6+) in June and July, Cox Media Group classic hits-oldies WSRV “97.1 The River” hangs out a one-half share increase to 7.1 (6+) and repeats in the runner-up slot. After the market’s two urban contemporary outlets were off a combined one-half share in July, they are up a collective four-tenths in August. Three-quarters of that increase comes from Entercom’s WVEE “V-103 The People’s Station” (6.6 – 6.9, second to third, 6+), while the other one-tenth is from Radio One-owned WHTA “Hot 107.9” (4.6 – 4.7, flat at #7, 6+). “V-103” was off four-tenths in July; “Hot,” which had been up six-tenths in three straight upticks (4.1 – 4.2 – 4.6 – 4.7, 6+), regains the one-tenth in lost in July. Before losing one-tenth in June, WVEE logged four sweeps in a row without a loss for a combined +1.3 (5.8 – 5.8 – 6.3 – 6.7 – 7.1, 6+); May’s 7.1 is its best 6+-performance in more than two years (7.3, April 2016). 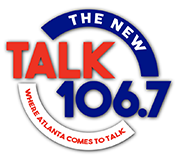 Following three negative trends in succession for an overall loss of nine-tenths (4.5 – 4.3 – 4.1 – 3.6, 6+), Cox Media Group urban AC WALR wiped away seven-tenths of the loss in June; however, “Kiss 104.1 – Atlanta’s R&B” is a collective -.9 (again) in July and August (4.3 – 4.0 – 3.4, 6+) and departs the top ten (#10 to #13). Its rival – Radio One’s WAMJ “Majic The Real Sound of Atlanta” – bounces back from its half-share loss in July with an August gain of one-tenth (5.6 – 5.1 – 5.2, 6+) and continues in fifth-place. In addition to WALR, Cumulus Media-owned WKHX “Kicks 101.5 – Atlanta’s #1 For Country Hits” regresses by six-tenths as well (3.9 – 3.3, #12 to #14, 6+). Its 3.9 in July is the station’s best 6+-showing since August 2017 (3.9, as well). Off two-tenths (4.0 – 3.8, 6+), iHeartMedia’s similarly-formatted WUBL “94.9 The Bull” exits the top ten (#10 to #11) with its lowest 6+-performance since September 2017 (3.8, as well). A one-tenth May setback by “The Bull” ended four increases in a row for an overall gain of six-tenths (4.1 – 4.2 – 4.5 – 4.6 – 4.7, 6+); it was -.7 in June. There is zero movement in the CHR contest in terms of 6+ AQH share and market rank. Specifically, iHeartMedia’s WWPW “Power 96.1 Atlanta’s #1 Hit Music Station” is without a loss for the fourth straight time for a cumulative gain of seven-tenths (3.4 – 3.4 – 3.5 – 4.1 – 4.1, steady at #9, 6+) and repeats its best 6+-stat (4.1) since February’s 4.3, while Cumulus Media’s WWWQ “Q-100, Atlanta’s New Hits” is flat at 4.2 and continues in eighth-place. “Q-100” was locked on 4.0 (6+) in May and June. 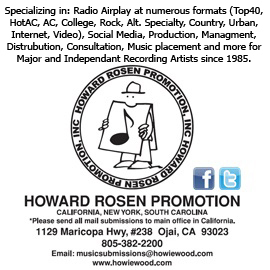 At the same time that Entercom hot AC WSTR “Star 94.1 – Today’s Hits” is up or flat for the fourth time in a row for a collective +1.4 (2.5 – 3.6 – 3.6 – 3.9 – 3.9, #12 to #10, 6+), Cox Media Group adult contemporary WSB-FM “B-98.5” is without an increase in the same timeframe for a loss of seven-tenths (5.9 – 5.8 – 5.6 – 5.6 – 5.2, 6+) and slips from fourth to fifth. Having logged seven straight up or flat moves (1.3 – 1.3 – 1.5 – 1.5 – 1.8 – 1.8 – 1.8 – 2.1, 6+) and finishing #19 in May, Cox Media Group urban contemporary WSTR-HD3 is unlisted for the third month in a row. Spoken-Word Formats – Recording gains of seven-tenths each are Entercom sports talk and all-news siblings WIP “Sports Radio 94.1” (5.9, seventh to sixth, 6+) and KYW “News Radio 1060” (5.2, steady at #8, 6+). As a result, both stations end negative streaks. WIP, for example, was a collective -1.7 in three straight decreases (6.9 – 6.1 – 5.6 – 5.2, 6+). The Phillies flagship was an overall -1.1 (December and “Holiday” 2017); +2.6 (January 2018); -.8 (February); -2.9 (March); +1.1 (April); -.8 (May); -.5 (June); and now +.7 in August. In four consecutive down or flat trends (6.0 – 5.0 – 4.7 – 4.5 – 4.5, 6+), KYW was -1.5. An increase of nine-tenths in March (5.1 – 6.0, 6+) gave “News Radio 1060” its strongest 6+-showing in three years (6.1, March 2015), but it then surrendered one full-share in April; KYW improved by +1.0 in January. Yet another negative string concludes as public news/talk WHYY posts a +.5 to 3.8 (#12 to #10, 6+), interrupting three successive declines for an overall -1.1 (4.4 – 3.7 – 3.6 – 3.3, 6+). WHYY was up one full-share in January, but off six-tenths in “Holiday” 2017. Conversely, back in the Entercom cluster, WPHT “Talk Radio 1210” is +1.0 in four straight positive spikes (1.5 – 1.6 – 1.7 – 2.2 – 2.5, #17 to #15, 6+). WPHT was stuck on 1.8 (6+) in “Holiday” 2017 and January 2018 and then on 1.9 (6+) in February and March, before dropping to 1.5 in April. Without a gain for the fourth time in succession for an overall decline of nine-tenths (2.8 – 2.3 – 2.0 – 2.0 – 1.9, 6+), Beasley Media Group’s WPEN-FM actually advances from #19 to #18; “97.5 The Fanatic” was +.9 in January. Townsquare Media news/talk WKXW “New Jersey 101.5” regains half of July’s -.1 (1.4 – 1.5, +.1, 6+) and remains at #21. Philadelphia Music Formats – Tacking on nine-tenths to July’s +.6 (5.8 – 6.4 – 7.3, 6+), iHeartMedia-owned WDAS-FM jumps from fourth to second. This (7.3) is the first time “Philly’s Best R&B and Throwbacks” reaches the seven-share level (6+) since September 2017’s 7.1. Immediately prior to a loss of one-half share in June, WDAS-FM was an overall +.8 in three straight positive spikes (5.5 – 5.8 – 6.0 – 6.3, 6+). The rollercoaster ride continues for Beasley Media Group’s WMMR, which all but erases July’s -.7 with an August +.6 (6.1 – 5.4 – 6.0, sixth to fifth, 6+). Immediately prior to July’s loss of seven-tenths, “93.3 Everything That Rocks” cobbled together three straight flat or up trends that yielded six-tenths (5.5 – 5.5 – 5.9 – 6.1, 6+). Down or flat in 16 straight sweeps for a combined -1.0 (1.9 – 1.7 – 1.6 – 1.6 – 1.6 – 1.5 – 1.4 – 1.4 – 1.4 – 1.2 – 1.0 – 1.0 – 1.0 – 1.0 – 1.0 – .9 – .9, 6+), Radio One gospel WPPZ “Praise 107.9 – Philadelphia’s Inspiration Station” picks up two-tenths in August to 1.1 (#24 to #23, 6+). Following six straight gains for a combined +2.9 (5.3 – 6.3 – 6.9 – 7.0 – 7.2 – 7.7 – 8.2, 6+), Entercom classic hits-oldies WOGL “98.1 – Nobody Plays More 80s” surrenders approximately 25% of that increase (7.5, -.7, 6+), but repeats at #1. July 2018’s 8.2 represents its highest-ever 6+-stat in the PPM-era. When WOGL reached #1 in that sweep, it was the first time the station occupied that spot since August 2017. Dislodged at #1 in July was WBEB “Today’s 101.1 More FM,” which Entercom is now operating under a Time Brokerage Agreement (TBA), until it officially closes on its $57.5 million purchase of the Jerry Lee Radio adult contemporary outlet. WBEB had been on top from March through June, but is a collective -2.0 in July and August (8.5 – 7.8 – 6.5, 6+) and slumps from second to fourth. The last time WBEB was below a seven-share (6+) was exactly one year ago (6.7, August 2017). As a result of five straight increases before January’s -8.7, “Today’s 101.1 More FM” was a collective +10.3 (6.7 – 7.2 – 7.6 – 7.8 – 12.8 – 17.0, 6+). In “Holiday” 2017, WBEB achieved its most potent 6+-share since 17.9 in “Holiday” 2016. In addition to WOGL, Beasley Media Group adult Hits WBEN-FM also falters by seven-tenths (2.7, #11 to #14, 6+); “Ben” was up eight-tenths in June and July (2.6 – 3.0 3.4, 6+). A loss of one-half share to 5.3 (fifth to seventh, 6+) by WXTU pulls the plug on seven straight ratings periods without a loss for an overall +2.2 (3.6 – 4.2 – 4.3 – 4.6 – 4.9 – 5.7 – 5.7 – 5.8, 6+). Previous to the May sweep, the last time “92.5 Philadelphia’s Country Station” reached the five-share level (6+) was in August 2016 (5.3). Spoken-Word Formats – A boost of three-tenths (4.9 – 5.2, 6+) is enough to elevate Entercom’s WFAN from fourth to first with its strongest 6+-share (5.2) in Long Island since November 2017’s 5.9. “Sports Radio” was -1.1 in February; a collective +1.8 in April and May (2.9 – 4.0 – 4.7, 6+); -.5 in June; and the New York Yankees’ flagship was +.7 in July. This marks the fourth straight time co-owned all-news WINS (2.5 – 2.8, #14 to #13, 6+) shows a month-to-month fluctuation of three-tenths: +.3 (May); -.3 (June); -.3 (July); and +.3 (August). At 2.5 (6+) for the third month in a row, co-owned/similarly-formatted WCBS-AM drops from #14 to #15. WCBS-AM gained two-tenths in January, halting four straight down or flat trends for an overall loss of one full-share (3.8 – 3.7 – 3.0 – 2.8 – 2.8, 6+). In March, it recaptured the four-tenths it dropped in February. The key station of the New York Mets – iHeartMedia news/talk WOR “710 The Voice of New York” – is -1.3 in three straight down or flat trends (3.1 – 2.3 – 1.9 – 1.9 – 1.8, 6+) and carries on at #22. In advance of surrendering three-tenths in March, WOR was an overall +.8 in three straight gains (2.0 – 2.1 – 2.6 – 2.8, 6+). Bunched together at #23, #24, and #25, respectively, are WNYC Broadcasting Foundation news/talk WNYC-FM, which is trending 1.6 – 1.9 – 1.6 – 1.7 – 1.5 – 1.5 – 1.7 (February 2018 – August 2018, 6+); WEPN “98.7 ESPN New York,” off seven-tenths in three straight downward trends (2.3 – 2.0 – 1.8 – 1.6, 6+) after five consecutive upticks for a +1.2 (1.1 – 1.2 – 1.3 – 1.8 – 2.0 – 2.3, 6+); and Cumulus Media news/talk WABC, up one-tenth to 1.3 (6+), curtailing four consecutive down or flat moves for a -.3 (1.5 – 1.4 – 1.4 – 1.4 – 1.2, 6+). Long Island Music Formats – More than a dozen stations that appeared in the June 2018 report vanished from print in July. Six notable examples had at least a .6 (6+) in June 2018; were unlisted in July; but have now reappeared in August. They include: Spanish Broadcasting System Spanish tropical WSKQ (1.3 – 0.0 – 1.2, 6+); co-owned Spanish contemporary WPAT (1.0 – 0.0 – 1.1, 6+); Educational Media Foundation contemporary Christian WKLV (.9 – 0.0 – .9, 6+); Univision Radio Spanish contemporary WXNY (.8 – 0.0 – .8, 6+); New York Public Radio classical WQXR (.7 – 0.0 – .4, 6+); and Fordham University alternative WFUV (.6 – 0.0 – .5, 6+). It is still tight at the top, as the first five Nassau-Suffolk August 2018 finishers are separated by six-tenths of a share. In five straight down or flat trends, Entercom classic hits-oldies WCBS-FM was a collective -1.2 (4.9 – 4.4 – 4.3 – 4.3 – 3.8 – 3.7, 6+), but “101.1 New York’s Greatest Hits” regains 75% of that loss (4.6, +.9, ninth to fifth, 6+). With an improvement of seven-tenths to 3.9 (#11 to #7, 6+), Emmis urban AC WBLS erases in full the seven-tenths deficit from June and July (3.9 – 3.6 – 3.2, 6+). On the strength of a one-half share gain (4.6 – 5.1, 6+), Connoisseur Media classic hits-oldies WBZO “103.1 Max FM” jumps from sixth to second. A collective +1.4 through four straight improvements (3.7 – 4.0 – 4.4 – 5.0 – 5.1, 6+), Cox Media Group CHR WBLI not only forfeits all but two-tenths of that increase (5.1 – 3.9, -1.2, 6+), “Long Island’s #1 For All the Hits” drifts from first to seventh with its lowest 6+-stat (3.9) since “Holiday” 2017’s 3.4. Conversely, August’s 5.1 is its strongest 6+-performance since September 2017’s 5.2. Format rival, iHeartMedia New York City’s WHTZ “Z-100,” is flat or down slightly for the fourth straight time for a collective loss of three-tenths but stays at #4 (5.1 – 5.0 – 5.0 – 4.9 – 4.8, 6+). Ousted from the top spot in July after nine straight months there and continuing at #2, Connoisseur Media hot AC WALK-FM “Real Variety 97.5” posts a +.1 to 5.1 (6+), thus ending seven successive sweeps without an increase for an overall -7.6 (12.6 – 7.4 – 7.4 – 7.0 – 6.1 – 5.8 – 5.1 – 5.0, 6+). “Real Variety” was a cumulative +7.2 in October – November – December – “Holiday” 2017 (5.4 – 6.7 – 8.7 – 12.6, 6+). Without a loss three straight months for a +.7 (2.3 – 2.4 – 2.4 – 3.0, 6+), co-owned WWSK “94.3 The Shark – Everything That Rocks” slips by -1.1 in July and August (3.0 – 2.9 – 1.9, 6+), fading from #12 to #20. At the same time, Cox Media Group-owned WBAB “102.3 Long Island’s Only Classic Rock” falters by one-half share (5.0 – 4.5, 6+) and tumbles from second to sixth. Flat at 2.5 (6+), Emmis rhythmic CHR WQHT “Hot 97” (#14 to #15) is within 2.0 – 2.9 territory (6+) for the 46th consecutive ratings period. Spoken-Word Formats – Nearly doubling its 6+-stat in June and July (.9 – 1.1 – 1.7, 6+), San Bernardino Community College news/talk KVCR drops four-tenths in August to 1.3 (#11 to #13). In advance of the February sweep, KVCR was +.4 via three minor upticks in a row (.9 – 1.0 – 1.1 – 1.3, 6+). Despite its very consistent Inland Empire November 2017 – August 2018 topline of .4 – .4 – .3 – .4 – .4 – .4 – .3 – .5 – .5 – .4 – .4 (6+), Pasadena City College news/talk KPCC “The Voice of Southern California” slips from #18 to #19. After debuting in July with a .2 (6+), iHeartMedia news talk KKDD “1290 News Talk IE” gains one-tenth (.3, #21, 6+). Part of May’s four-way logjam at #20 with a .3 (6+), co-owned KPWK “Fox Sports Radio 1350 AM” (formerly KUBE) disappeared from print in June; resurfaced in July with a .2 (6+); and drops one-tenth to .1 in August (#22 to #24, 6+). Los Angeles Angels-owned (LAA 1, LLC)/similarly-formatted KLAA “Angels Radio AM 830” is unlisted for the seventh month in a row. Riverside Music Formats – Having logged a .3 (6+) in three of the last four sweeps (.3 – .3 – .5 – .3, 6+), iHeartMedia Spanish adult hits KFOO “La Preciosa 1440 AM” explodes with a +.7 to 1.0 (6+), vaulting from #20 to #14. Progressing by six-tenths each are Anaheim Broadcasting classic hits-oldies KOLA (6.6 – 7.2, unchanged at #2); Univision Radio regional Mexican KSCA “Zona Mx 101.9” (2.0 – 2.6, tenth to seventh, 6+); and Educational Media Foundation contemporary Christian KKLQ “Positive & Encouraging K-Love” (0.0 – .6, #17, 6+). A +.3 by KOLA in July ended four downward trends in succession that generated a -2.1 (8.4 – 7.1 – 6.7 – 6.5 – 6.3, 6+). Similarly, January’s +1.8 applied the brakes to three straight decreases that accounted for a -2.0 (7.5 – 6.0 – 5.8 – 5.5, 6+). Prior to August, “Zona Mx 101.9” had posted four negative moves in a row for a collective -1.8 (3.8 – 3.7 – 3.3 – 2.6 – 2.0, 6+). Over and above finishing first for the third successive sweep, Entravision’s KLYY is +2.8 in four straight positive spikes (4.6 – 6.4 – 6.5 – 6.9 – 7.4, 6+). This follows five sweeps in succession without an increase for an overall -3.0 (7.6 – 7.3 – 5.8 – 5.8 – 5.0 – 4.6, 6+). June 2018 marked the first time “Jose” was in the lead position since “Holiday” 2017 when it scored a 7.3 (6+). Advancing by one-half share as well is Univision Radio Spanish adult hits KRCD “Recuerdo” (1.2 – 1.7, #13 to #12, 6+). A collective +1.5 in June and July (3.4 – 4.1 – 4.9), iHeartMedia rhythmic CHR KGGI “99.1 Riverside’s Hottest Hit Music” relinquishes 80% of that increase (3.7, -1.2, 6+), slipping from third to fourth. Despite being -1.5 via three consecutive losses (5.9 – 5.5 – 4.9 – 4.4, 6+), Entercom country outlet KFRG carries on in third-place. When “K-Frog” sputtered by four-tenths in June, it snapped at four a consecutive string of increases that netted an overall +1.3 (4.6 – 4.9 – 5.4 – 5.8 – 5.9, 6+). Flat at #5, Univision Radio Spanish contemporary KLVE “107.5 K-Love” posts its fourth straight Riverside decrease for an overall -1.8 (5.3 – 4.9 – 3.9 – 3.6 – 3.5, 6+). This marks the fourth time in the last five sweeps that All-Pro Broadcasting adult contemporary KATY “101.3 The Mix” (#16 – #17) logs a .6 (.6 – .6 – .7. – .6 – .6, 6+). Without a gain for the fourth straight month for a collective -.4 (.7 – .6 – .6 – .4 – .3, 6+), Lazer Broadcasting regional Mexican KXSB “Radio Lazer” exits the top twenty (#18 to #21). 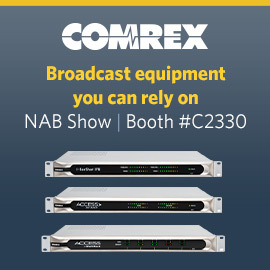 Spoken-Word Formats – Owing to a +.8 to 4.4 (tenth to seventh, 6+), Cumulus Media sports talk KNBR “The Sports Leader halts three decreases in succession that accounted for a cumulative -1.0 (4.6 – 4.3 – 3.9 – 3.6, 6+). The San Francisco Giants flagship posted a +1.6 in April, as it reached the four-share level in San Jose (6+) for the first time since May 2017’s 4.2. Tacking on one-half share to July’s +.2 (1.7 – 1.9 – 2.4, 6+), co-owned KGO returns to the top twenty (#22 to #16). July’s increase stopped four successive downward sweeps for a -1.4 (3.1 – 2.9 – 2.1 – 2.0 – 1.7, 6+); KGO was a combined +.7 in January and February (2.4 – 2.8 – 3.1, 6+). It overtakes news/talk cluster-mate KSFO, which is down two-tenths in back-to-back sweeps (2.2 – 2.0 – 1.8, 6+) and exits the top twenty (#20 to #21). Prior to July, KSFO was without a loss the previous five months for an overall +1.0 (1.2 – 1.5 – 1.9 – 1.9 – 2.0 – 2.2 – 2.2, 6+). 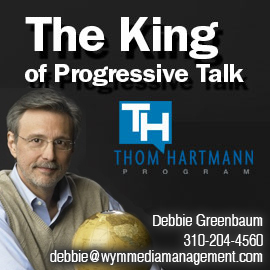 By picking up one-tenth (6.4 – 6.5, 6+), Entercom’s all-news KCBS-AM progresses from third to second. Its -.8 in July applied the brakes to four consecutive up or flat trends that netted +1.4 (5.8 – 5.8 – 6.3 – 6.4 – 7.2, 6+) and its strongest 6+ (San Jose) showing since November 2017 (7.2, as well). Following July’s -1.0, Northern California Public Broadcasting news/talk KQED flounders by another six-tenths (7.5 – 6.5 – 5.9, 6+) and shifts from second to sixth. Between January 2018 – June 2018, KQED and KCBS-AM finished first and second, respectively. KQED rebounded from a combined -1.9 in April and May (8.8 – 8.2 – 6.9, 6+) with a June increase of six-tenths. When KQED lost six-tenths in “Holiday” 2017, it shifted to #2, following five successive sweeps on top; it was +1.0 in January. A setback of one-tenth in December halted three consecutive gains that produced an overall +1.3 (6.9 – 7.3 – 8.0 – 8.2, 6+). San Jose Music Formats – Similar to what is highlighted in Long Island (see above), seven stations with at least a 1.2 (6+) in the June 2018 ratings period disappeared from print in July. With their (6+) June 2018, July 2018, and August 2018 San Jose stats in parentheses, the seven outlets falling in that category are: Entercom rhythmic hot AC KRBQ (1.9 – 0.0 – 1.8, 6+); University of Southern California classical KDFC (1.7 – 0.0 – 1.8, 6+); Entercom alternative KITS (1.6 – 0.0 – 1.8, 6+); Spanish Broadcasting System regional Mexican KRZZ (1.2 – 0.0 – 1.3); Entercom urban AC KBLX (1.2 – 0.0 – 1.2, 6+); public contemporary Christian KLVS (1.5 – 0.0 – .8, 6+); and Entercom sports talk KGMZ (1.4 – 0.0 – .6, 6+). Improving by one full-share each are Empire Broadcasting’s KRTY “San Jose Hot Country 95.3,” which records its fifth gain in a row for an overall +2.1 (4.0 – 4.1 – 4.2 – 4.5 – 5.1 – 6.1, sixth to fifth, 6+) and Univision Radio’s KBRG “Amor 100.3” (5.2 – 6.2, fifth to fourth, 6+). In three straight positive spikes, KBRG was an overall +1.9 (3.7 – 4.5 – 5.3 – 5.6, 6+), but “Amor 100.3” surrendered roughly 20% of that increase in July (5.2, -.4, 6+). Climbing from fourth to third, Alpha Media classic hits-oldies KBAY “94.5 Bay FM – The Bay’s Greatest Hits” registers a +.9 to 6.4, its strongest 6+ showing since 7.0 in “Holiday” 2017. On the heels of July’s impressive +1.5 (5.2 – 6.7, 6+), Entercom-owned KUFX “98.5 K-Fox, The South Bay’s Classic Rock” adds one-tenth to 6.8 (6+) and repeats at #1. Its August 2018 6.8 more than doubles October 2017’s 6+-share (3.2). A July gain of seven-tenths by iHeartMedia adult contemporary KISQ interrupted four straight negative trends that produced a loss of nine-tenths (4.5 – 4.4 – 4.0 – 3.7 – 3.6, 6+), but “98.1 The Breeze” surrenders eight-tenths in August to 3.5 (eighth to ninth, 6+). Within a consistent 3.5 – 3.7 range (6+) between “Holiday” 2017 and July 2018 (3.5 – 3.5 – 3.6 – 3.6 – 3.7 – 3.6 – 3.6 – 3.7, 6+), hot AC cluster-mate KIOI “Star 101.3” stumbles by seven-tenths to 3.0 (6+) and departs the top ten (#9 to #11). Meanwhile, Alpha Media’s similarly-formatted KEZR “Mix 106 Today’s Best Music,” which had been +.9 in three straight up or flat trends (4.0 – 4.5 – 4.9 – 4.9, 6+), surrenders six-tenths to 4.3 (seventh to eighth, 6+). Off six-tenths and one-half share, respectively, are iHeartMedia’s KYLD “Wild 94.9 The Bay’s #1 Hit Music Station” (2.8 – 2.2, #14 to #20, 6+) and Univision Radio regional Mexican KSOL “Que Buena” (3.0 – 2.5, 6+). Spoken-Word Formats – A third straight increase for a collective +1.1 (6.0 – 6.4 – 6.8 – 7.1, 6+) enables WKXW to repeat at #1. The Townsquare Media news/talker was on top four ratings periods in succession before segueing to #2 in May. “New Jersey 101.5” was a combined -2.1 in April and May (8.1 – 7.3 – 6.0, 6+) and it posted a +.9 in January to advance from second to first with its strongest 6+-stat since April 2016’s 8.5. Conversely, Entercom sports talk WFAN has its third decrease in a row for a -.8 (4.4 – 4.3 – 4.2 – 3.6, 6+) and fades from fifth to tenth. June’s one-tenth setback halted three straight positive spikes that netted a +1.1 (3.3 – 3.4 – 4.1 – 4.4, 6+). Four successive losses by WFAN accounted for a -1.9 (5.2 – 5.0 – 4.2 – 4.1 – 3.3, 6+), but immediately prior to that, the New York Yankees flagship was +1.4 via three straight increases (3.8 – 4.3 – 5.1 – 5.2, 6+). The nine most recent topline 6+ stats for sports talk WEPN “98.7 ESPN New York” (#21 – #20) are: 1.6 – 1.9 – 2.0 – 1.7 – 2.0 – 2.1 – 1.7 – 1.9 – 2.1. It is tied at #20 with WNYC Broadcasting Foundation’s WNYC-FM, which logs a +.3 to 2.1 (6+) to curtail five straight losses (3.4 – 2.6 – 2.5 – 2.2 – 1.9 – 1.8, 6+) that accounted for a nearly 50% erosion of its 6+ share (-1.6). Even though it is flat at 2.0 (6+), iHeartMedia news/talk WOR drops from #20 to #22. The New York Mets flagship was off a collective six-tenths in May and June (2.3 – 1.8 – 1.7, 6+). Frozen on 1.1 (6+) in March and April, Entercom all-news WINS records a 1.7 (flat at #23, 6+) for the fourth straight time. It is one-tenth ahead of Cumulus Media news/talk WABC (#24 to #25, 6+), whose January 2018 – August 2018 6+ topline is: 1.5 – 1.6 – 1.4 – 1.5 – 1.4 – 1.7 – 1.6 – 1.6. Middlesex Music Formats – Continuing the theme set in Long Island and San Jose (see above), seven stations that registered at least a one-half share (6+) in June 2018 are unlisted in July 2018. With their (6+) June 2018, July 2018, and August 2018 Middlesex-Somerset-Union stats in parentheses, these three outlets return with at least a .5 (6+): Entercom all-news WCBS-AM (1.5 – 0.0 – 1.7, 6+); Press Communications country WKMK (1.2 – 0.0 – .8, 6+); and New York Public Radio classical WQXR (.9 – 0.0 – .6, 6+). Gaining seven-tenths each in August are Entercom hot AC WNEW-FM “NEW 102.7,” which had been trending 2.4 – 2.5 – 2.4 – 2.5 (#17 to #16, 6+), and Educational Media Foundation contemporary Christian WKLV “Positive and Encouraging K-Love” (.2 – .0 – .7, #27, 6+). After being within three-share range (6+) in each of the past 13 sweeps, Emmis rhythmic CHR WQHT “Hot 97” gains three-tenths to 4.1, progressing from tenth to sixth. It is tied with Entercom classic hits-oldies WCBS-FM “101.1 New York’s Greatest Hits,” which notches a +.4 to 4.1 (#12 to #6, 6+), thus pulling the plug on four decreases in a row that produced a -1.8 (5.5 – 4.9 – 4.7 – 3.8 – 3.7, 6+). Having practically tripled its 6+-share (+2.6) as the result of seven up or flat trends (1.4 – 1.5 – 1.5 – 1.9 – 2.3 – 2.3 – 2.7 – 4.0, 6+), Univision Radio Spanish contemporary WXNY “X-96.3” returns more than half that increase (4.0 – 2.6, -1.4, 6+), cratering from #7 to #17. A loss of one-half share (4.0 – 3.5, 6+) takes Beasley Media Group adult contemporary WMGQ “Magic 98.3 – Todays Hits & Yesterday’s Favorites” to its lowest 6+-share since last October (3.5, as well) and out of the top ten (#7 to #12).